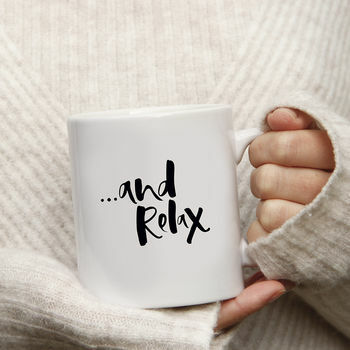 Sit back and relax with this super-cute hand letterd mug. 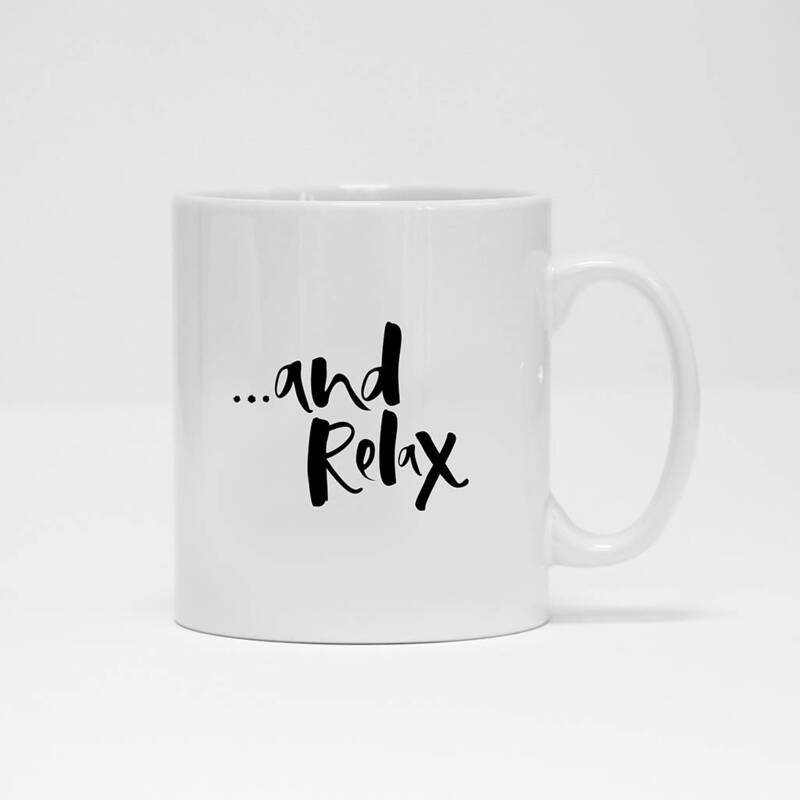 Featuring our classic hand lettered font, the phrase '...and Relax' is printed on to a crisp, white dishwasher and microwave safe mug and would make a perfect birthday gift or Christmas gift for her a special friend or loved one. 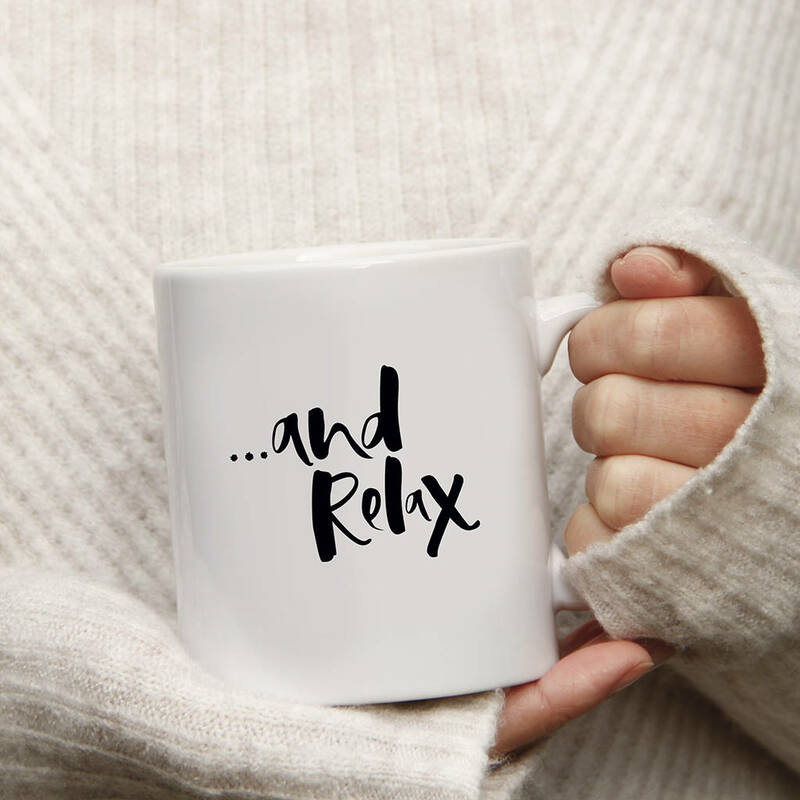 Whether it's tea, coffee, hot chocolate (or mulled wine! ), this mug is a winter favorite and would make a great Chriatmas stocking filler. 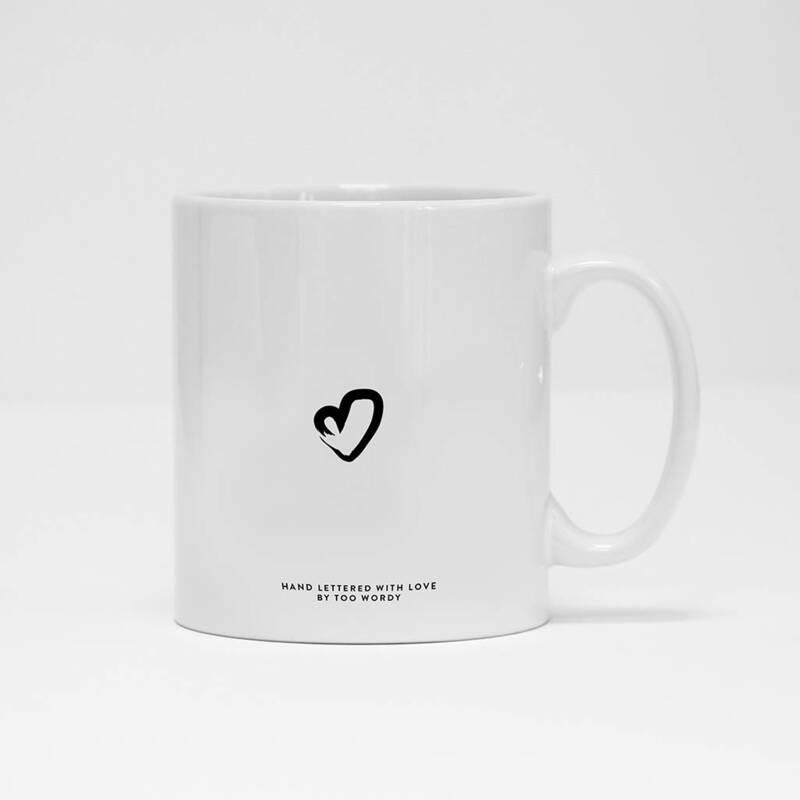 A cute hand drawn heart completes the design and is printed on the reverse of this mug.